Must haves and favorites from the studio. Are you wanting to learn pointed pen but stumped on where to begin? 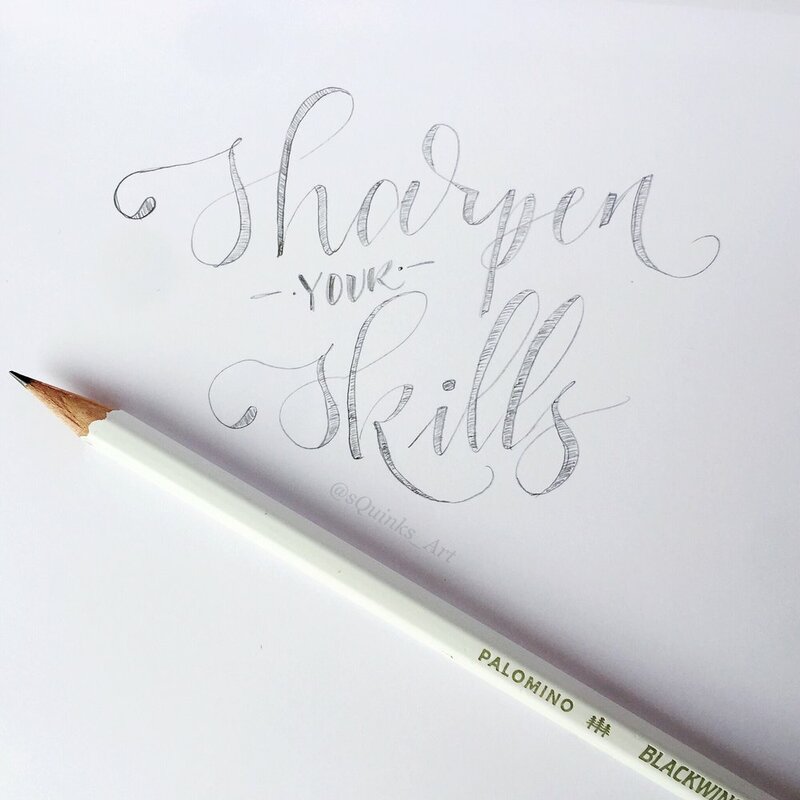 This kit has all the tools and instruction to get you started with calligraphy. Register for a workshop here. These are my favorite beginner's essentials for learning and creating with watercolors. Complete with and instructional booklet, this set is designed to give you confidence with colors and paint. Register for a workshop here. With three different graphite choices and a rich history, you will be hooked on this 1930s classic. And if you're a pencil addict like me, they have a limited edition monthly subscription. Rhodia pads are the best choice for the smoothest calligraphy and drawing surface. Classics some in dot, grid, lined or blank options or you can choose other pad colors, notebooks and even smartpads. My favorite calligraphy nib holders are hand turned and hand detailed by Feather Park Lettering. These customizable pens are always impressive and each one is unique and beautiful.